New eats are coming to 101 Seaport Boulevard. 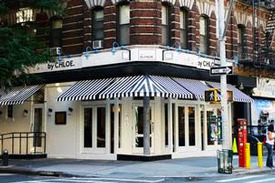 This is not your traditional eatery, but rather vegan style with roots in NYC. You can read more on the BBJ. 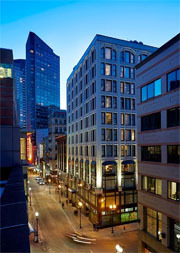 DTX is getting its newest amenity online next week, The Godfrey Hotel opening at 505 Washington Street. “The 242-room Godfrey Hotel Boston was redeveloped out of the adjoining Armory and Blake buildings in the city’s Downtown Crossing district, about a block east of Boston Common…This spring, the property will open a street-level cafe by George Howell Coffee, a local roaster. A 4,600-square-foot restaurant i scheduled to open this summer, but the Godfrey hasn’t announced the restaurateur yet,” according to TravelWeekly. You can read more on Travel Weekly. Office space is used far differently today than 25 years ago. Production is no longer measured by how much time you log in a seat at your desk, but rather what is accomplished by the day’s end. Some jobs still require sitting in a specific seat — lab technicians and receptionists are the two that come to mind — but those restrictions are becoming less and less applicable to the majority of professions. At our company we offer a wide variety of options for our team members, much of which is a direct result enhanced virtual desktops. Only a few years ago, you had to sit at your desk in order to access your computer and critical electronic files; now your electronic desktop can follow you. When the value of your real estate exceeds the value of your business what do you do? Macy’s investors are putting pressure on the retail to separate the entities. 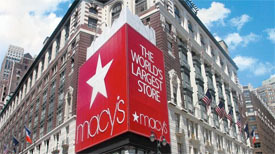 You can read more about Macy’s estimated $21 billion real estate portfolio on the Bizjournal.com/newyork.